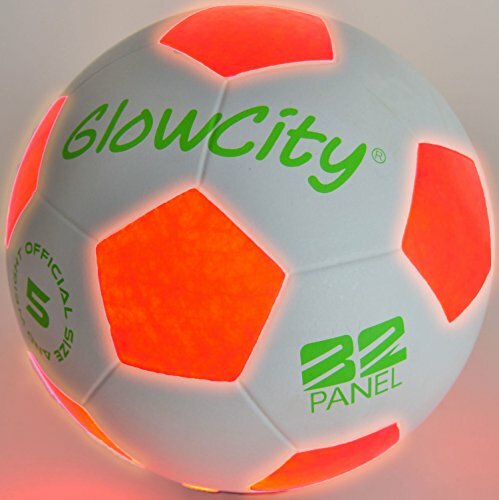 GlowCIty's Blazing Red Light Up Soccer Ball is truly amazing. This ball is built tough for all level of players. 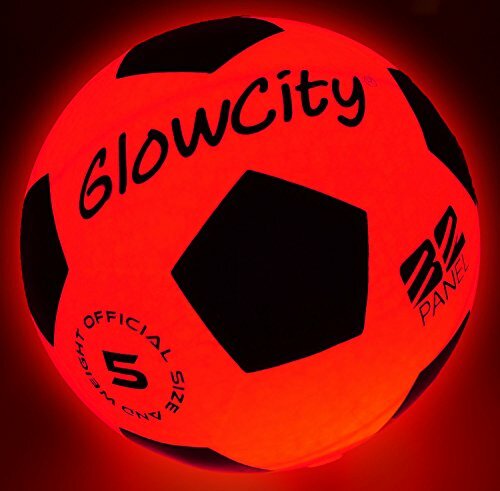 No one likes to play soccer on a dark field and then have problems seeing the ball, well now you can play after the sun goes down with GlowCity's Official Blazing Red Light Up Soccer Ball. 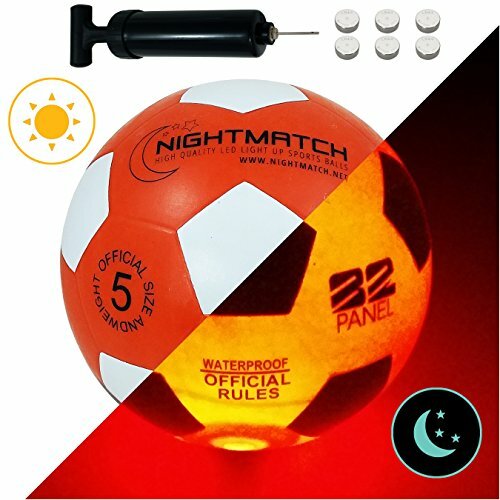 Our Soccer ball includes Two Hi-Bright LED Lights that illuminate the entire ball. The ball is impact activated and stays on while you play with it. Once your done it shuts off and stays off until played again. We stand by our customers so if there is any issue's we have a full 30 day money back guarantee. Thanks for Shopping With GlowCity. 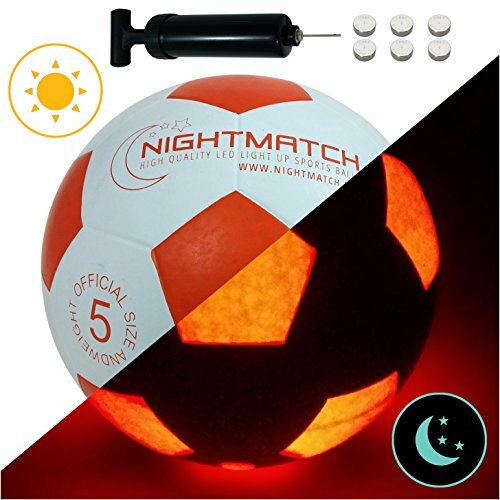 Limited Edition Black LED Soccer Ball Unlike The LED Soccer Ball that are white, we have now released our NEW Black Version. 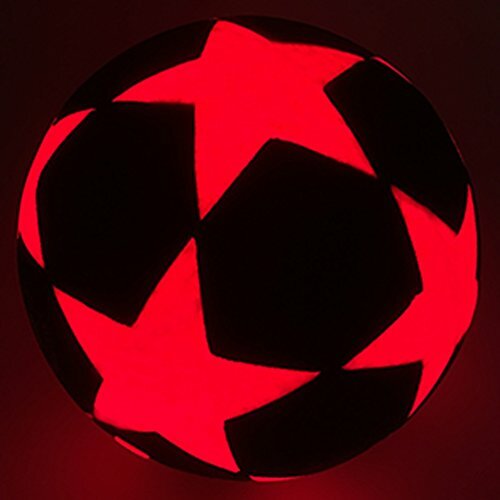 Our LED Soccer Balls are Tough, Rugged, and meant to last. This product is great for all ages and truly is a great product. Our Balls are impact activated with two Hi-Bright LED's. The Battery Life is long lasting but also very easy replace. The Soccer Ball Is a Size 5 Ball which is light in weight and acts and plays like a normal soccer ball. 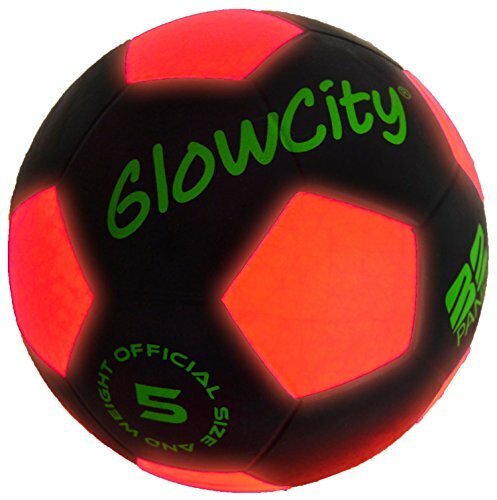 GlowCity's Brand New Light Up Star Pattern Soccer Ball is a great addition to the Light Up Sports Line GlowCity Carries. The new star pattern has an amazing look to it and we know you wont be disappointed. 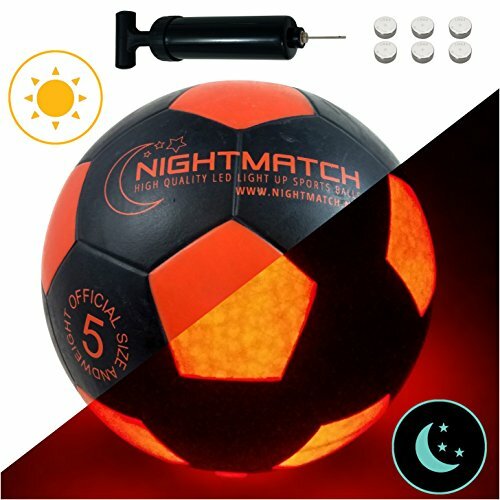 Just like the other balls its impact activated and stays lit while playing it. 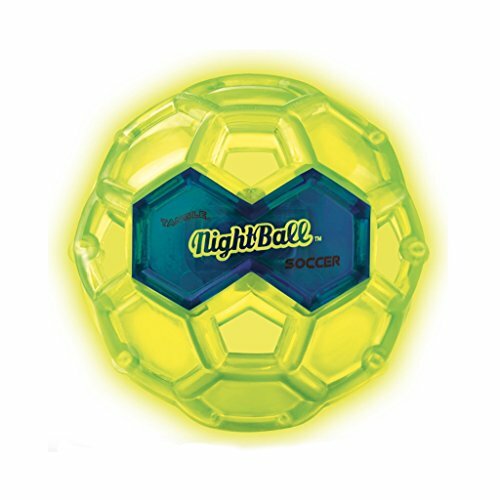 Night Ball Soccer from Toysmith is perfect for play day or night! This 6.5-inch soccer ball is ideal around water, it floats and is waterproof. Dribble it, spin it, the light up feature makes it easy to see. Batteries are non-replaceable. Ages 5 and up. GlowSport are the pioneers world-wide in glowing sports and recreation. How can we get you glowing?